We released the Looper last year so everyone could make their own beats, at the swipe of a finger. If you could tap, you could make the tightest sounding beats. But like all other features we launch on the platform, we weren’t content to leave it at that – everything a work in progress! Meet the Looper’s newest addition: three fully-customisable effects which you play in real-time. Now when you lay down a beat, you can throw in a bunch of effects, that are completely controlled by you. But enough talking, take a look for yourself at how easy and fun it is to use. Getting to the Looper’s Effects screen is easy. 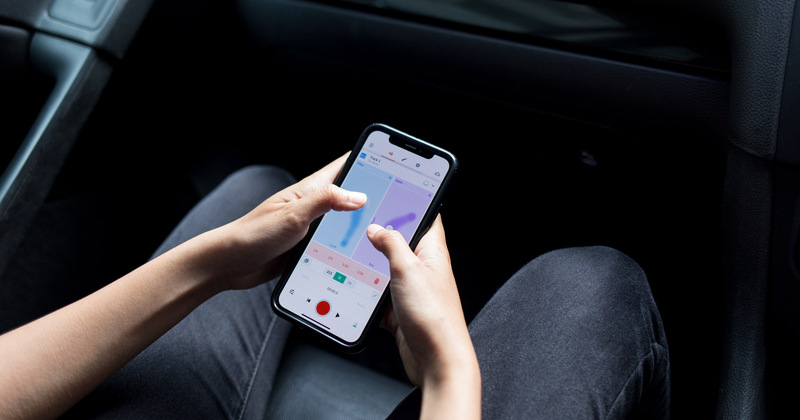 Once you’ve laid down a beat, tap on the Looper Effect button. If you’ve never tried your hand at the Looper, it’s super easy to use, and it’s free. You can find out more about the Looper here. Even if you have no formal music knowledge, the Looper Effects interface is designed so that anyone can quickly grasp it. 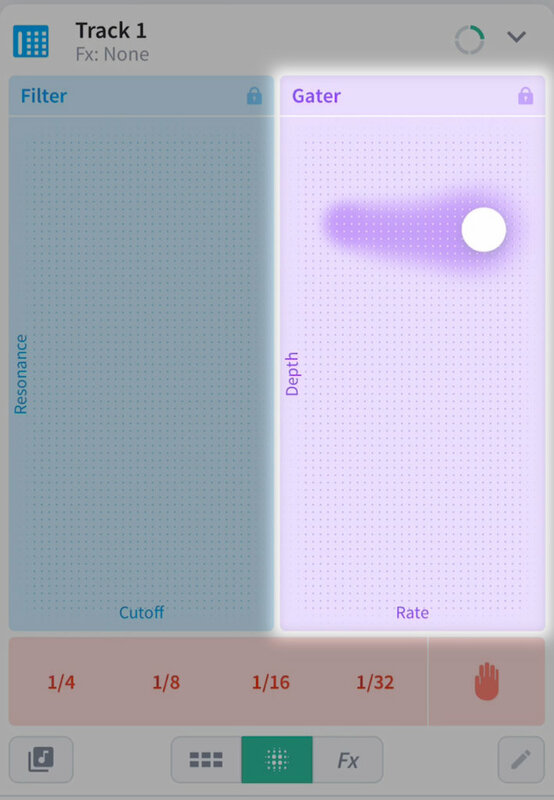 To start, create a beat with the Looper by tapping on the cells in the grid to trigger the Loops. Once you’ve got a beat, tap on the Looper effect button. 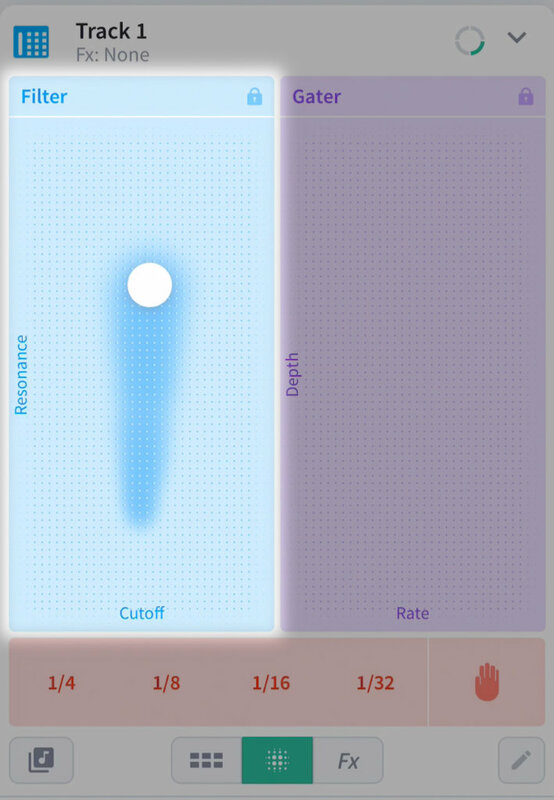 To use the effects, tap and move your finger around the grid. Let your ears dictate your actions. Our only tip? Have fun, and experiment. Let’s take a look in-depth at each of the effects. The Filter lets you create swooshing, phasing effects you often hear in EDM song transitions, allowing you to add interesting textures and tension to your beats. There are two axes which affect the sound – Resonance and Cutoff. 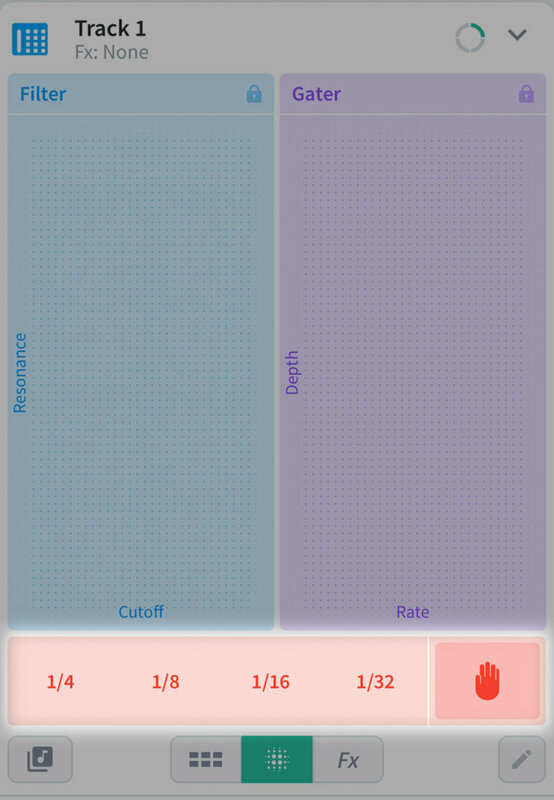 The Cutoff blocks certain frequencies in the sound. Start from the left and it filters the highs, and as you move your finger to the right, it progresses to cut off the lows. Resonance emphasises or suppresses the signal depending on the cutoff frequency. Moving your finger up and down creates a subtle phasing effect. The Gater gives your beat a stuttering effect. You can control the intensity of the stutter from the Depth control – the higher you move your finger, the more intense the stutter will be. The Rate control adjusts the speed of the stutter – all the way to the left gets starts off slow, while all the way to the right gives you an aggressive high speed stutter. The Stopper lets you stop the beat in an abrupt but tasteful way. You can tap and hold the stop symbol to bring the beat to a stop, release it and the beat resumes. To freeze the beat, tap and hold any of the subdivisions for varying speeds. These three effects can be played simultaneously and you’ll hear their effect in real-time. So use all your fingers, or get a friend to help! It’s incredibly fun and a great way to add your own personality to your Looper beat. Release your inner DJ and get creating with the Looper Effects. Share with us your creations on Instagram and BandLab by hashtagging #loopereffects. Check back for more new features coming to BandLab. You can download BandLab on the App store or Play store. Meanwhile, get hooked on the Looper!